Valentine’s Day is around the corner and Unique Home Living sent me a few of their Valentine’s baking goodies for the kitchen. After checking in with my instagram friends, it was decided that bakewell tarts were the way to go. 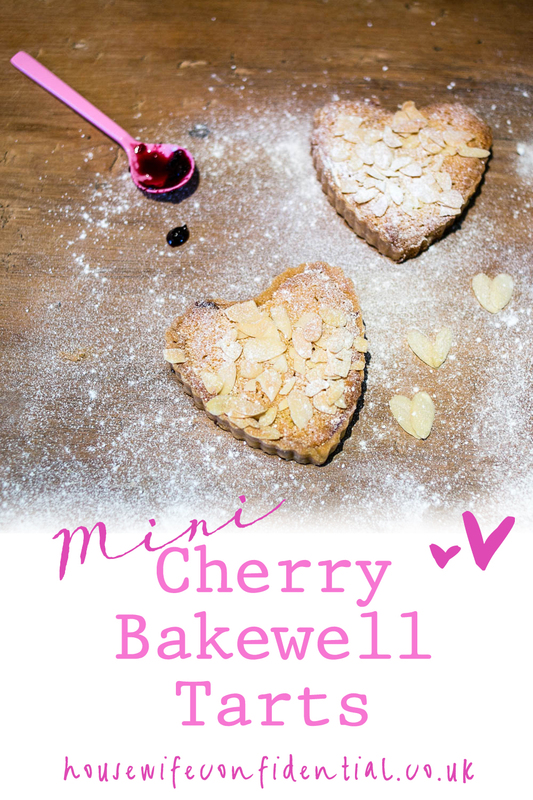 Bakewell tart is normally made with raspberry jam but I spotted cherry jam at our local farmers’ market yesterday so I grabbed a jar especially for this. Feel free to switch back to raspberry if you can’t get cherry. 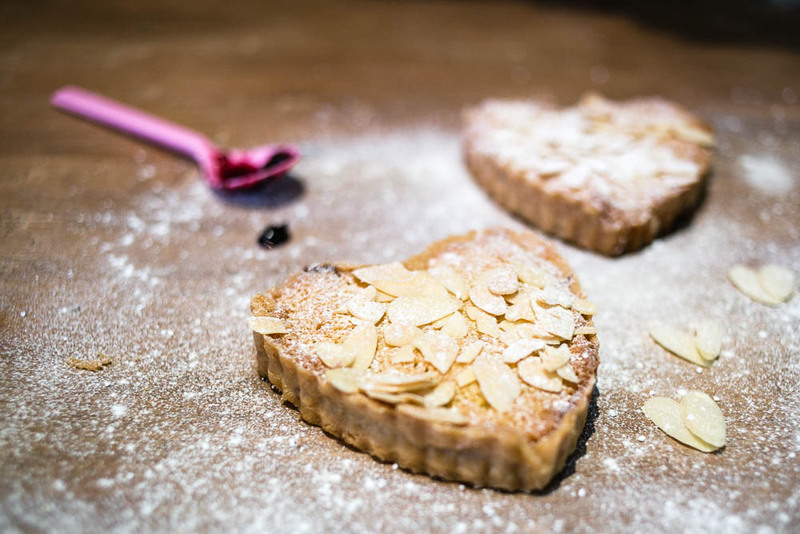 There are so many great reasons to make these tarts for Valentine’s. Firstly, they’re not too heavy. Secondly, they are crazy quick. 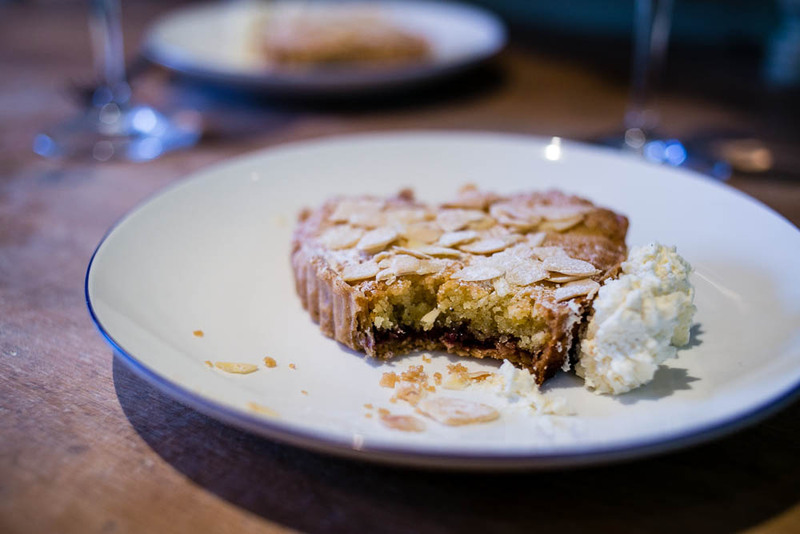 I know, you really think Bakewell tarts would be complicated (I mean, frangipane?) but you could whip these up in under an hour if you chose to buy pre-made shells. We all know that time saved on Valentine’s can be spent pampering yourself – I jest of course, it will be spent sitting by a swimming pool hoping your children don’t drown. I piped on Chantilly cream to serve the tarts. I’m not a big lover of cream with desserts but I make and exception for a little Chantilly. Makes 8 mini tarts or one large tart. Grease and flour the tart tins. Roll out the pastry on a well floured surface. You’re aiming for between 3 – 5mm thick. Cut generous pieces and gently lower into the tin, press it into the corners using your knuckle. Trim the sides but leave 5mm extra at the top for shrinkage. Prick the bases of the pastry all over with a fork. Line each tart shell with parchment and fill with baking beans. Bake in the oven for 10 minutes, remove the baking beans and bake again for a further 12-15 minutes until the pastry is golden. Remove the shells from the oven, allow to cool in the tins. Once cool trim the excess pastry around the edge and remove them from the tin. Spread 1 tsp of jam in the base of each tart shell. Lightly beat the eggs and beat into the butter and sugar a little at a time. Quickly fold the ground almonds into the mixture. Spoon the frangipane mixture into the tart shells and level with a spoon. 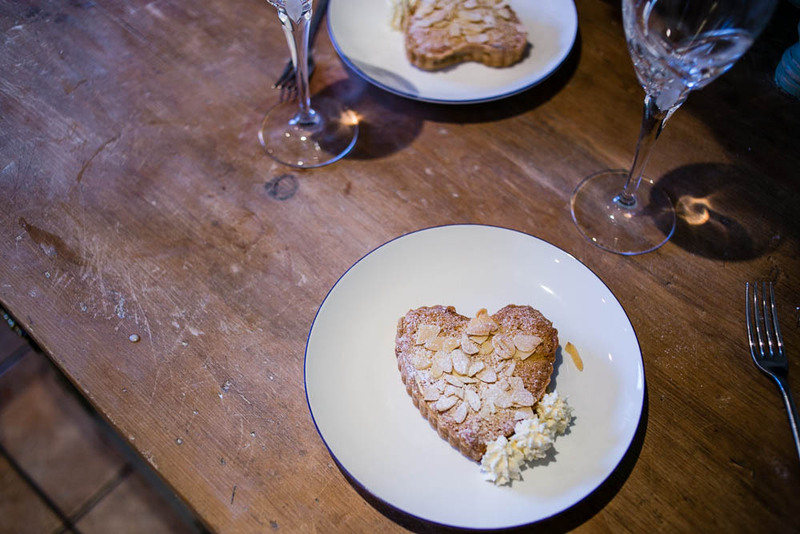 Bake in the oven for 30 minutes, add the flaked almonds to the top and bake for a further 10 minutes. Check the tart is cooked using a fork then set on a wire rack to cool. Split the vanilla pod in two and use a knife to skim the seeds from the inside. Add the vanilla seeds and sugar to the cream and then whip. Either pipe or spoon onto the plate to serve. A note: if you would like to reduce the recipe to make a romantic pair of tarts I suggest dividing it by three. 50g of the main ingredients and one egg (no additional yolk). Bakewells are one of my absolute faves. They’re a joint effort here. I make the pastry and hubby makes the frangipane. I love your little heart cases but crimped (is that what they’re called?) edges fill me with fear! They are scrummy! To be honest, the tins were a dream. I greased and floured them but as they are non-stick and loose bottomed the tarts slid out no problems. I’d definitely recommend trying them. Oh, these are just so lovely! I saw these on instagram and was hoping there would be an accompanying recipe! These are beautiful, Kat! 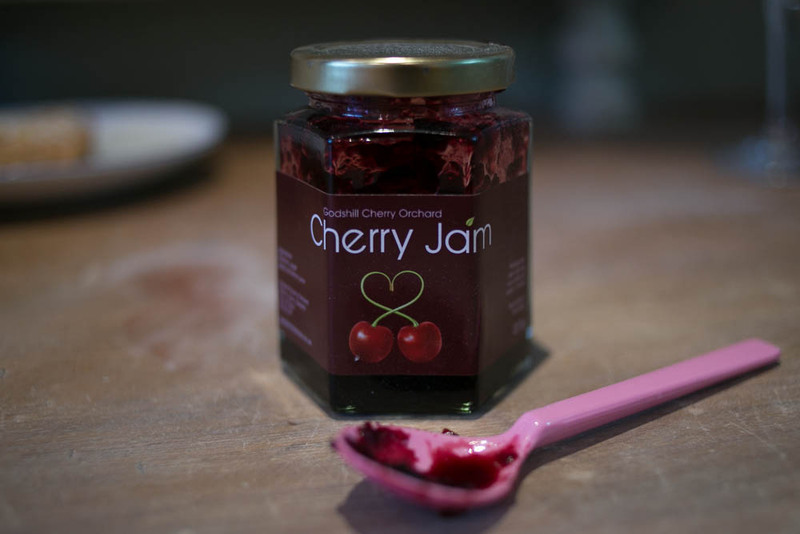 I love that you’ve used cherry–my favouritest fruit ever–instead of raspberry.